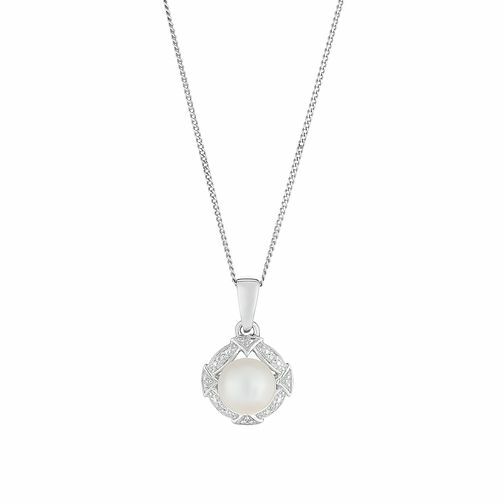 Held delicately on a 9ct white gold chain and surrounded by sparkling diamonds, this delightful cultured freshwater pearl pendant is a beautifully classic accessory that will never go out of style. Certified by the International Gemological Institute and including its own certificate. Elegant white gold jewellery for all occasions.